The Twenty + Change: Next Generation exhibition is on view in Toronto's Urbanspace Gallery, and highlights outstanding projects from some of Canada's best emerging architectural practices. Montreal's Atelier Barda completed a village of assorted huts for the Jardins de Métis in Quebec. 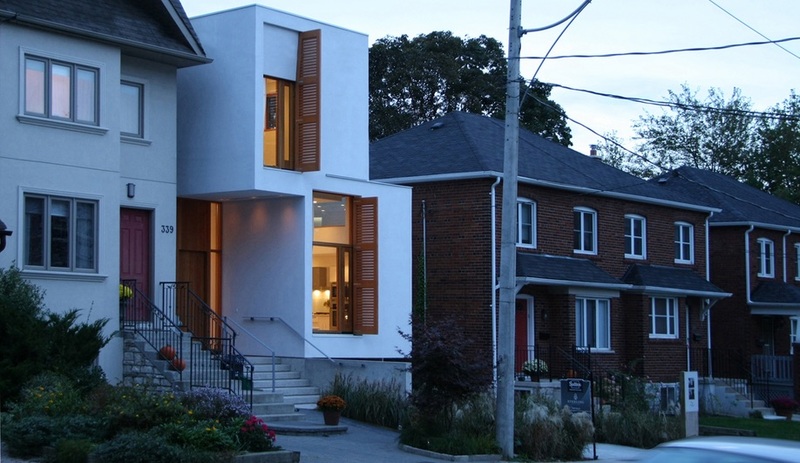 Toronto's Relmar House, by local firm Architects Luc Bouliane, is designed to allow residents to age in place. 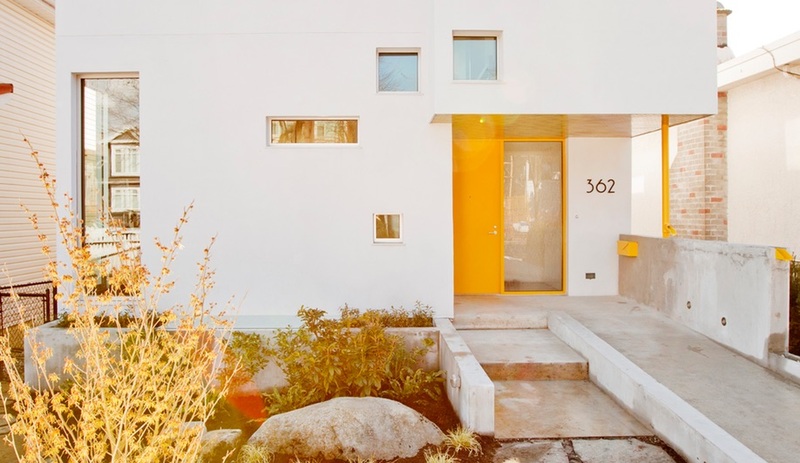 The volumetric shift of Offset House in Toronto, by Ja Architecture Studio, captures daylight while preserving a sheltered entrance. Marianne Amodio’s MAD(house) in Vancouver is designed to accommodate three couples in individual units, with an atmosphere of conviviality. Part of Toronto's Winter Stations, Polymétis’ HotBox offers lakeside perambulators respite from the wind. 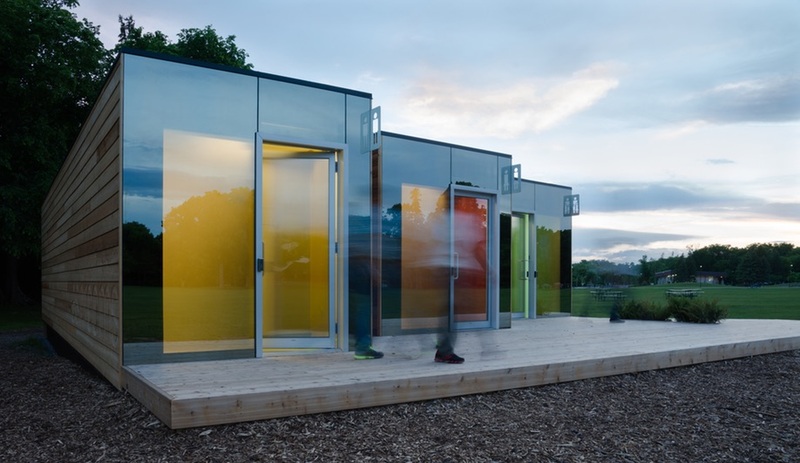 Peter Sampson Architecture’s shipping-container washrooms in Winnipeg's Assiniboine Park claimed an AZ Award of Merit for small architecture. The Ports 1961 flagship store by UUfie of Toronto – one of our firms to watch – glows like a beacon against Shanghai's smoggy skyline. 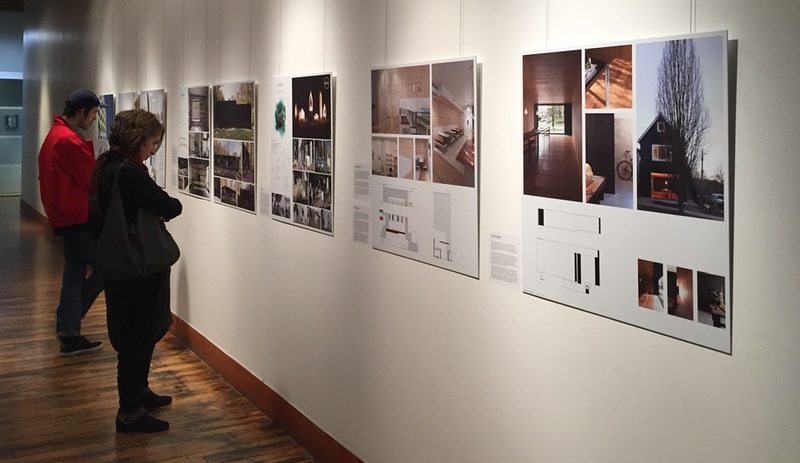 The exhibition is on view in Toronto's Urbanspace Gallery until February 6. In Toronto, an exhibit of emerging Canadian firms – including Polymétis, Luc Bouliane and Peter Sampson Architecture – offers a glimpse of what tomorrow’s architecture has in store. 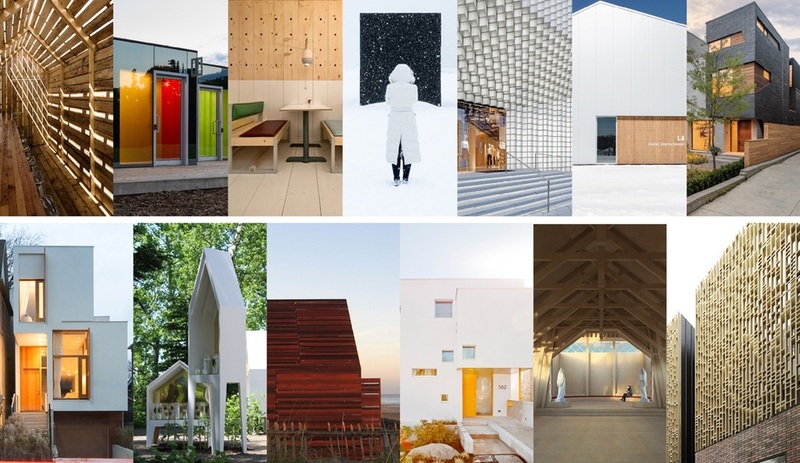 Produced by Twenty + Change, a non-profit organization dedicated to encouraging the exchange of ideas within the Canadian architecture industry, Next Generation shines a spotlight on younger firms whose portfolios, though small, offer the promise of great things. The exhibition is housed in Toronto’s Urbanspace gallery, and consists of vivid didactic panels that introduce the chosen firms with thoughtful writeups and photography of their most remarkable works. 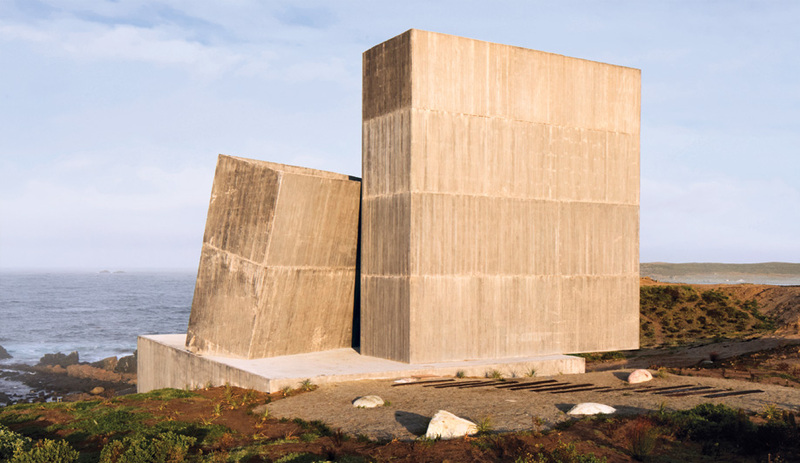 All represent the best new contemporary architecture, but there the similarity ends; the firms span the country from coast to coast, and their projects range in scale from installations to skyscrapers. 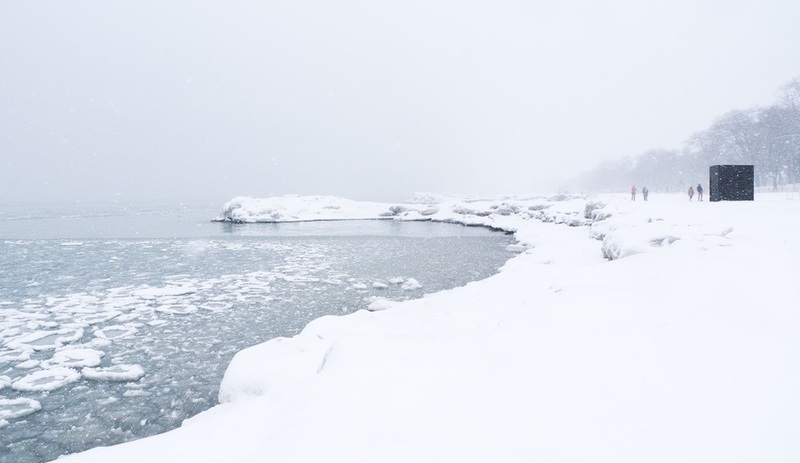 Polymétis, for instance, crafted a temporary hut on the shore of Lake Ontario, for hikers to escape from the winter wind, that is no less striking for being small in size; the Winter Stations entry, with an interior of just a few square metres, stands out in stark black against the snowy beach, like something out of a science fiction film. 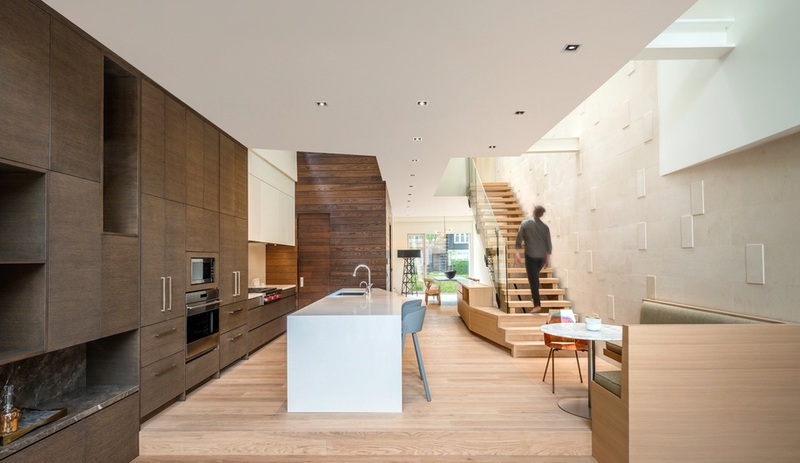 Another Torontonian, Luc Bouliane, presents Relmar House, which is designed to change over time, enabling its inhabitants to age gracefully in place. 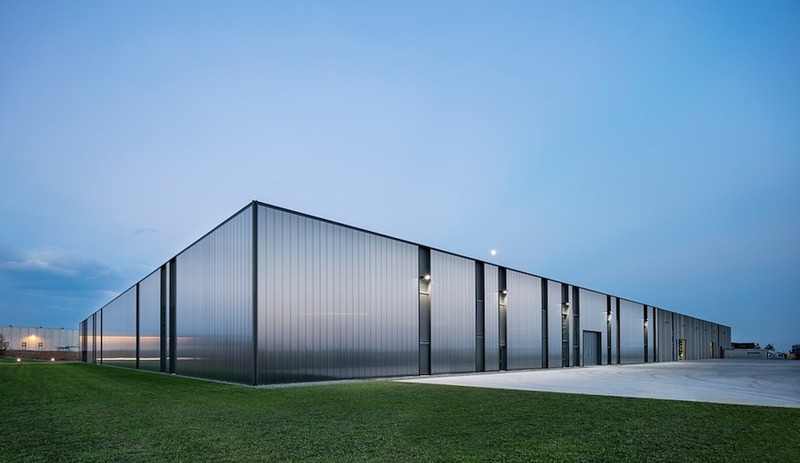 Installed in Winnipeg’s Assiniboine Park, Peter Sampson Architecture’s washrooms, in housings made from reclaimed shipping containers, feature sleek facades that belie their frugal construction and rapid four-month turnaround time. 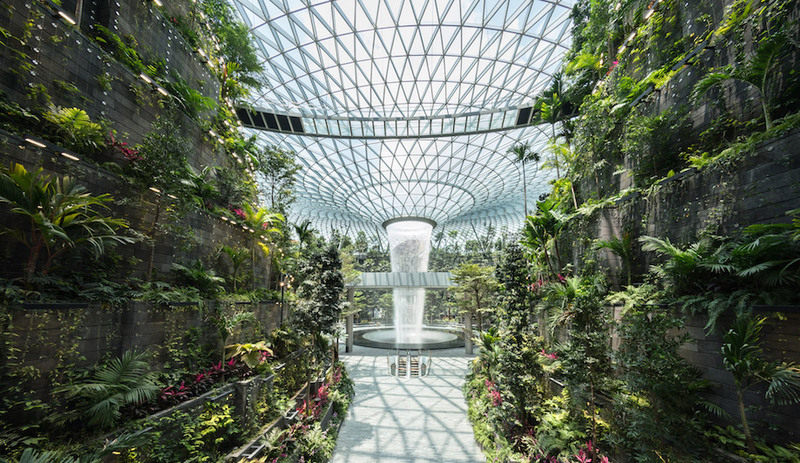 The sensitivity wasn’t lost on the AZ Awards jury – last year, the project claimed an Award of Merit for excellence in architecture. 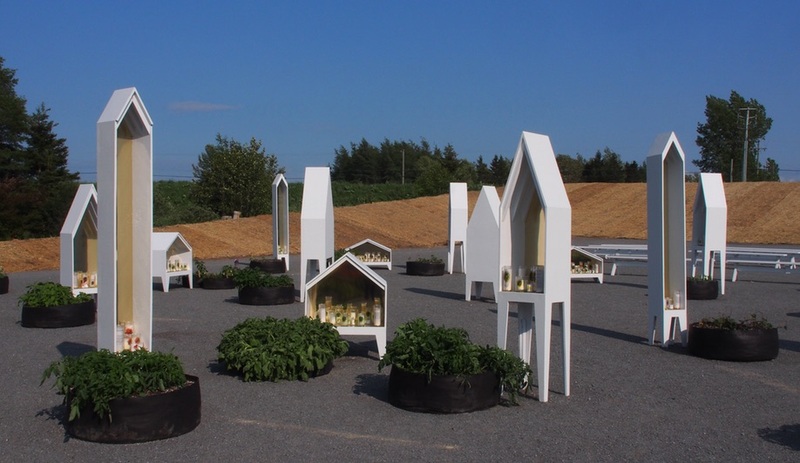 Not all the projects are sited in Canada. 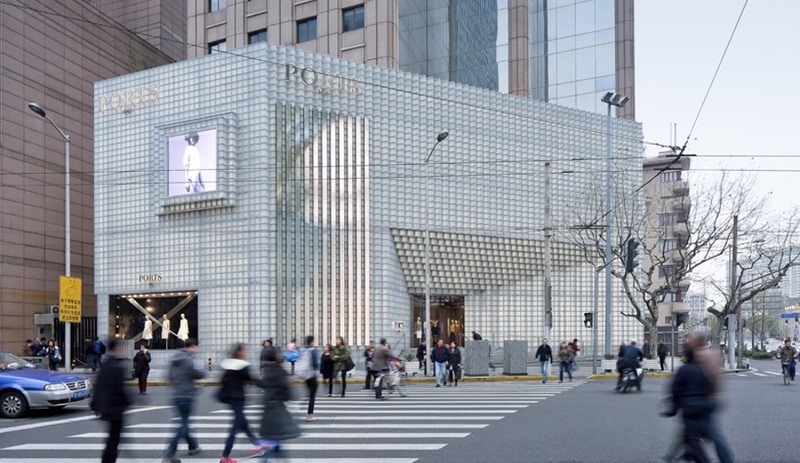 The Ports 1961 store by UUfie – one of our five Toronto firms to watch – is a temple-like edifice composed of thousands of glowing cubes that stand out against Shanghai’s grey skyline night and day. Twenty + Change: Next Generation runs until February 6 at the Urbanspace Gallery, 401 Richmond St., Toronto.